We provide fast, efficient and private, JFK airport transfer, Newark airport transfer and LaGuardia airport transfer services to and from Manhattan. 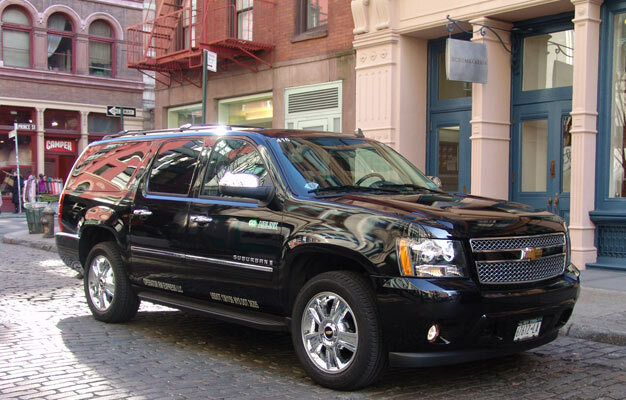 Our door-to-door private ride provide transportation in each direction between JFK, LaGuardia and Newark Airports and hotels located on Manhattan. Just book your private New York Airport Service here, and be greeted by your driver when you arrive in the airport, and if you like, you can also book your private ride back from your Manhattan hotel to the airport. Easy, private and luxury airport transfer that may exeed expectations! - If you like to make private transfer to Manhattan from the airport and also from Manhattan and back to the airport, PLEASE make 2 separate bookings, so you have 2 bookings and 2 booking numbers! - When your booking is confirmed, we will send you a voucher/e-ticket as an PDF document to your e-mail address. Please print this voucher/e-ticket, and bring a copy with you to New York. One printed voucher is required for each separate transfer journey that you have purchased! - Here you can book SEDAN 's for up to 3 persons! - Here you can book VIP SUV 's for up to 6 persons! - Here you can book VAN 's for up to 10 persons! - The price is for ONE car - NOT each person. So are you you e.g. - for 3 people, then book 1 x SEDAN, are you 4 to 6 people, then book 1 x SUV etc. - Baggage allowance: One suitcase per person and one small carry-on per person. - Your private airport transfer in New York with MySedan includes tips, tolls and taxes.